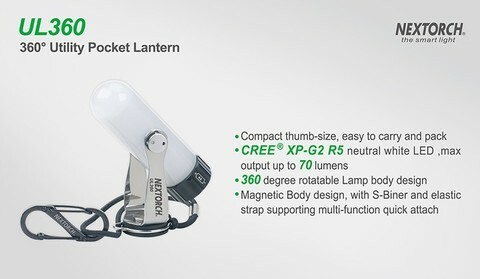 The UL360 is a 360° utility pocket lantern. 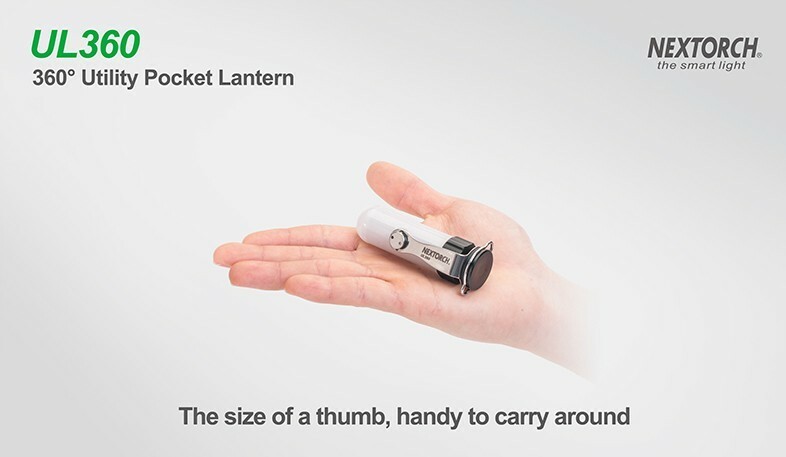 It’s compact thumb-size, easy to carry and pack. The UL360 is drove by neutral white CREE® LED, more gentle and without hurting eyes during long use. 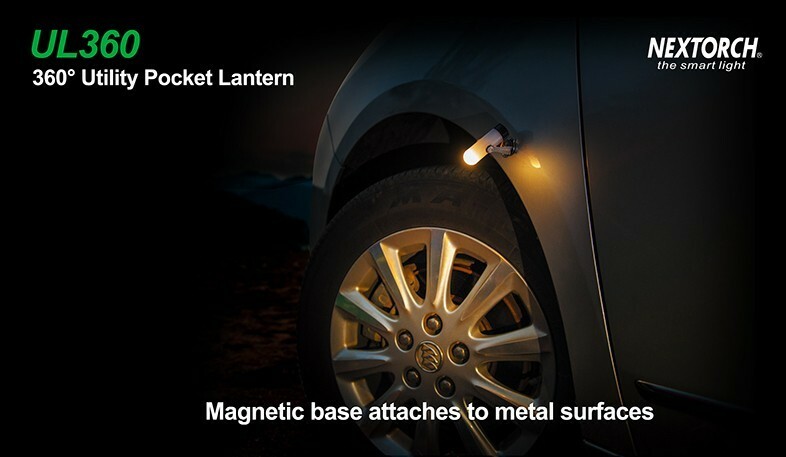 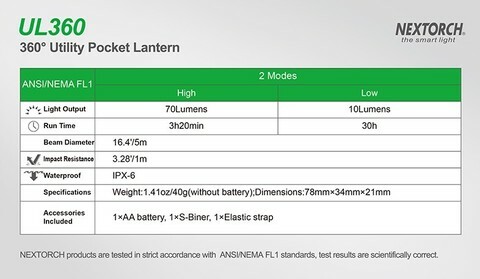 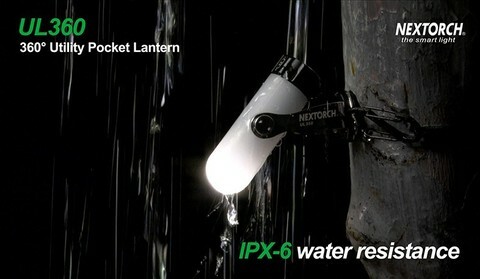 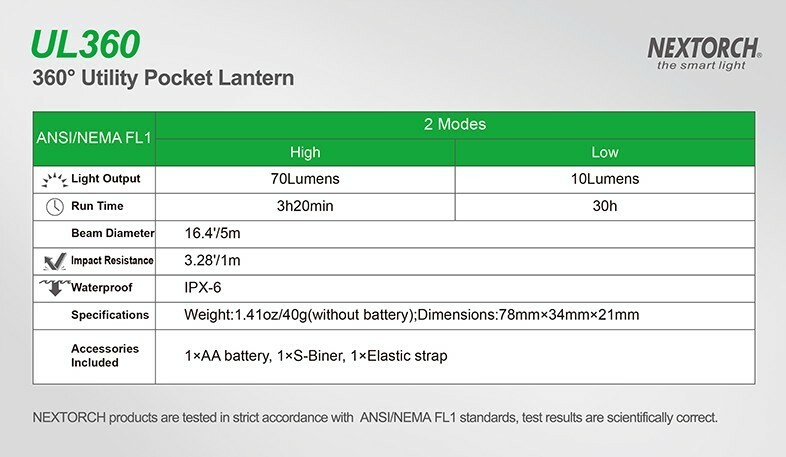 Powered by one AA battery, max output up to 70 lumens, with a reach of 5 meters beam diameter. With 360 degree rotatable lamp body design, light in any direction you want, making most use of the light. Most interesting of all, UL360 comes with a magnetic bottom plate, a bungie cord and a S-biner, which offer countless mounting option that makes UL360 fit in almost everywhere. 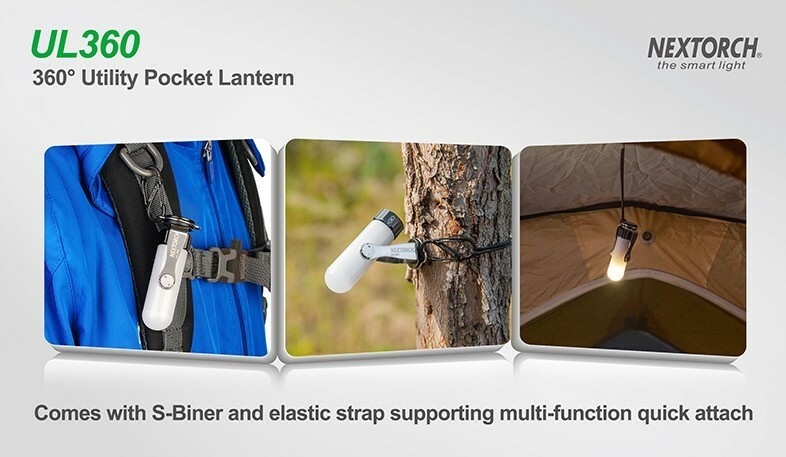 The UL360 is the best choice for camping, outdoor activities, maintenance and emergency.